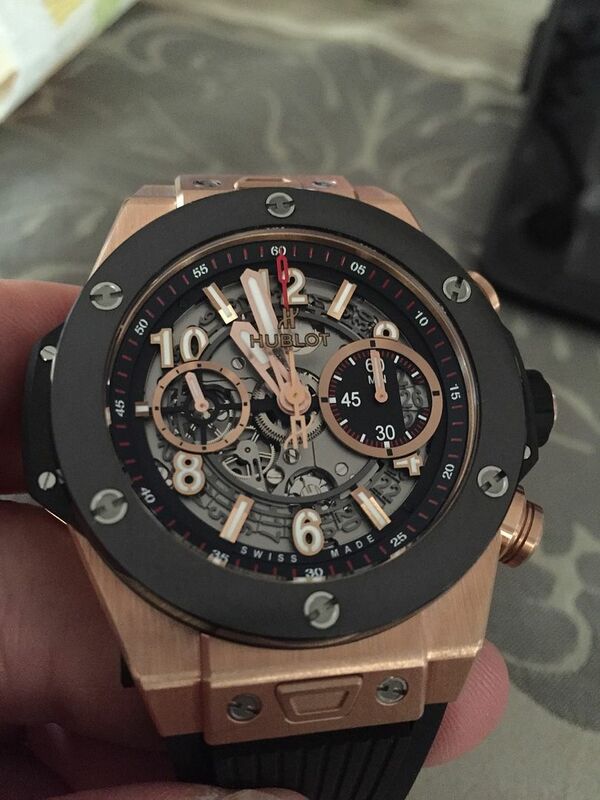 TimeZone : Hublot » Unico Arrived! Was fortunate enough to get this yesterday from Ross. This watch is breathtaking in its details and finishing. 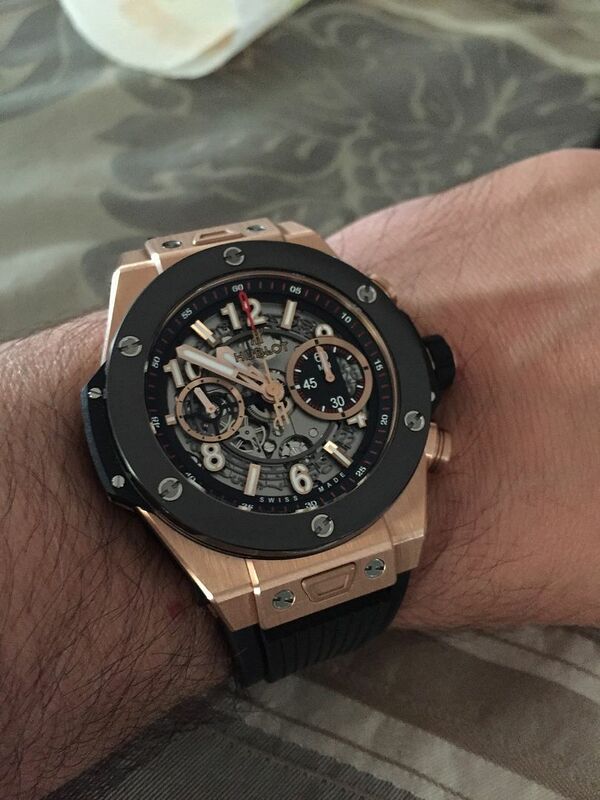 The movement winds effortlessly and smoothly, and the chronograph functions are crisp. The wrist presence is dominant but not overwhelming and it is the perfect weight. I am exceptionally pleased with this purchase and it will not be my last BB.